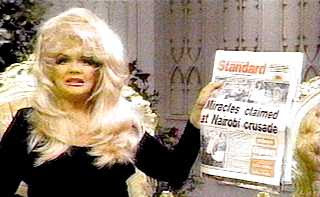 This week's How To investigates Televangelism and how to save a few bucks during your lifetime. This How To is also quite simple: Don't give them your freakin' money! Well thanks Captain Obvious. Care to elaborate? 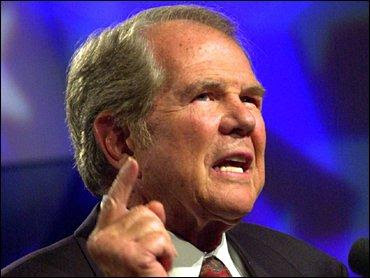 Everyday millions of Americans experience evangelists whom use media such as television, radio, newspapers, and the Internet to preach. While the majority of these people simply change the channel or tune into another station, there are those that fall victim to the seductive and deceiving ways of these evangelists. The use of impression management by evangelists to create assumptions and responses from their targeted audiences usually leads towards them generating a large number of donations, gifts, and cold hard cash. As actors, the false fronts TV evangelists display is crucial to their success or failure. 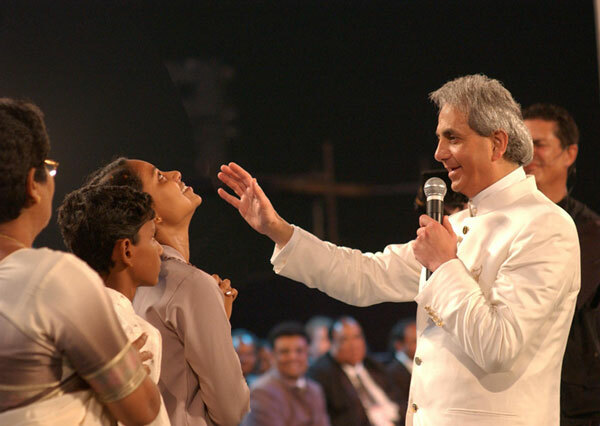 The fashions in which these evangelists present themselves define the situation for those people who are watching their performance. Evangelists create their normal appearances by dressing up in flashy clothing and going overboard on the haircuts, makeup, costumes, props, and so on to give a presentable image to their audience. They play the role of a compassionate preacher which fully engulfs their personality. Through their presentation of self, evangelists not only capture their follower's hearts but their money as well. Besides personal appearances, evangelists use the stage - normally a church - as an additional resource to their false front and as an organizational setting. The church backdrop normally generates a more sympathetic and down to earth response from whomever is watching. The sight of a humble evangelist pouring their heart out to the audience about how much they love God in conjunction with the alter, stained glass, and even a cross behind them hits the viewer heard in the sympathy category. Through the use of their appearance and the stage they have at hand, evangelists put themselves exactly where they want to be in getting what they want from their listeners. While evangelists appear all good on the stage, this does not carry out with them behind the scenes. Unfortunately, the show they put on up front is quite different than the role they play when they step off the stage. Behind the scenes, when the makeup is washed off, the sparking outfits are removed, and in some cases the wigs are taken off, these goodly evangelists are left with what they really are - people with power, wealth, and greed. Through all of their successes winning their crowds over, evangelists are able to live the lifestyles they want through expensive cars, eloquent homes, costly jewelry, and all the little trinkets their hearts desire. This the viewer does not see. And if they did, it is unlikely that they would be susceptible to shelling out their money so willingly again. It is ironic how religious figures such as these evangelists are able to so easily get the money they need and get away with it. TV evangelists are truly a case of how once backstage, one becomes the exact opposite, the alter-ego, of who the person they are when they are on the stage. As these people obviously do not practice what they preach, it is questionable to where all the money they receive from donations really goes towards once it hits their pockets. Won't you call now? Every little bit helps. Pick up the phone, we have operators ready to listen and take your great donations. Or something to that extent. Unfortunately, people give into this time and time again. This is all because the donors react to the performers and the show they are putting on and assume that their hard earned money is going towards a good cause. From the evangelist's perspective, they are people of God. They are friendly ad full of inspiration, charisma, and they know their Bible front and back. They interact with the crowd and communicate with them directly in person and even over the phone. All around they appear to be good people trying to do a good cause. But in reality, they are greedy liars. They put up a fake front and use the audience's religion against them into thinking they are doing something good, only to take the money and run. 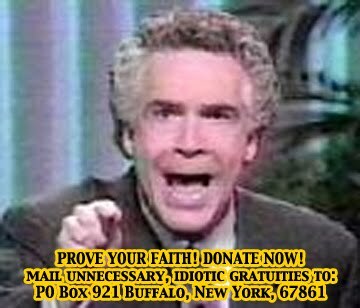 The audience usually buys into this kind of preacher persona and is then willing to donate their money. Most of the viewers rarely see what happens off the stage. Since the audience believes they are giving to a good cause, and even if they suspect even the smallest amount of conspiracy, they do not hesitate to donate because thy believe so strongly in the evangelists and that they are fulfilling their duty as a religious person by giving in to the evangelist's wishes. 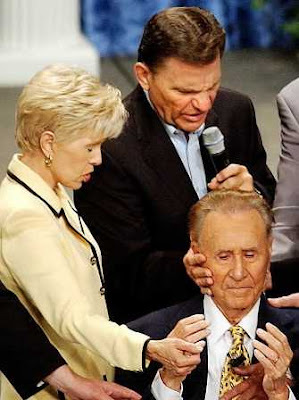 Televangelists are merely stuffing their pockets with cash, not helping the community, not clothing the homeless, not feeding the sick, not visiting the lonely, and certainly not buying their victims a ticket into heaven.